Unable to make it to this year’s Paris motor show? Never fear, here on the blog we have the biggest news from the Toyota stand. Size matters when it comes to the Verso-S, the new mini-MPV Toyota has now unveiled to the world’s media (we gave you an early look at it here). Marking a return to the mini-MPV market for Toyota, the Verso-S showcases the type of efficient space management Toyota made famous with the iQ. The car’s clever packaging is designed to deliver remarkable room for those on board and their luggage, despite measuring less than four metres long. What does this mean in reality? More details will be unveiled closer to the on-sale date, however we do know that the 60:40 split rear seats have a centre arm rest and a one-touch fold-flat mechanism. And, unlike other competitor models in the class, the seats can be folded down from the boot. We also know that the boot will feature a clever adjustable deck board that can be lowered to increase loadspace or removed entirely for maximum space. With the rear seats folded flat the maximum available space is 1,388 litres. The Verso-S is also equipped with a new 6.1-inch, colour Touch Screen Multimedia Interface. It not only provides easy control for the radio, CD/MP3 player and Bluetooth function, but also displays the view from the integrated rear-view parking camera. The Verso-S is expected to launch in the UK in February 2011. More details will be announced nearer launch date, so make sure you come back to check for updates. 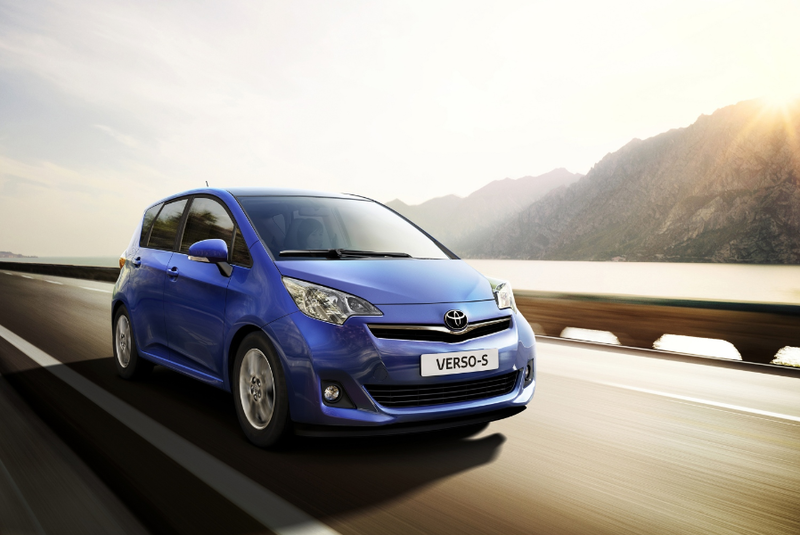 In the meantime, click here for more pictures of the new Toyota Verso-S.